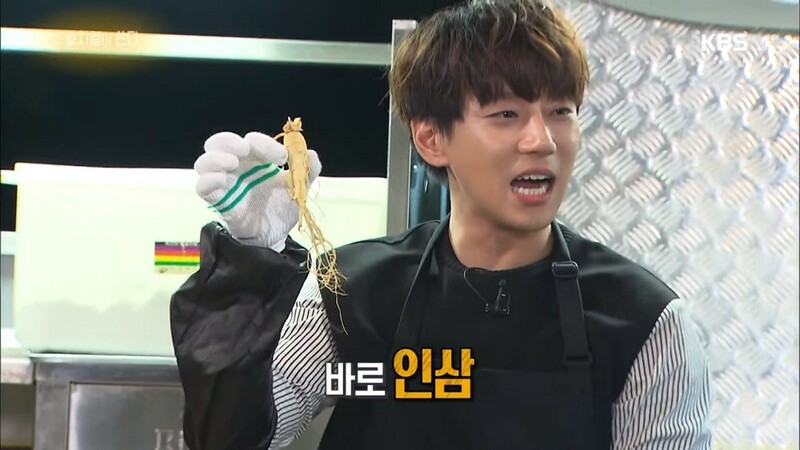 Hwang Chi Yeol deep-fried a ginseng for a fan on 'Entertainment Weekly'! On the May 11 episode of the show, singer Hwang Chi Yeol took to the streets to execute a special event for his devoted fans. He launched a special food truck just for deep-frying, even bringing some raw foods from his home to fry them! However, the types of uncooked foods he brought were no ordinary cuisines. As a fun little game, he had some fans randomly pick a number, and he had to deep-fry the corresponding food, no matter what. One food chosen was ginseng, so he ended up frying those roots on the spot! The fan who ate the fried ginseng gave the singer a thumbs-up, so it must not have tasted too bad! What do you think of Hwang Chi Yeol's interestingly original fan service? You can watch his full event here.